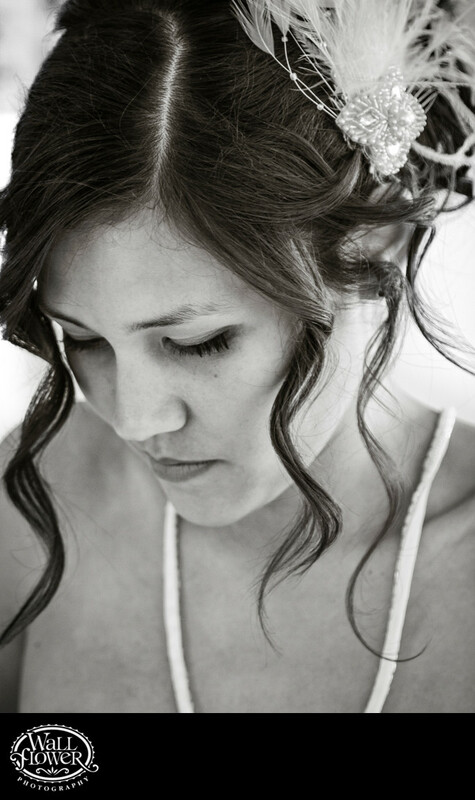 This simple candid of a Japanese-American bride shows her in a quiet, lost-in-thought moment before her wedding ceremony at the Japanese Pagoda in Tacoma's Point Defiance Park. The black and white conversion eliminated very little color outside of skin tones and gives the photo a classic, timeless feel. Loved her hairpiece of feather and beads! Her wedding was featured in South Sound Wedding and Event Magazine.